After 23 years of providing chamber music at the peak of the summer, the Methow Valley Chamber Music Festival is switching to dates earlier in the season. In 2019, the festival will run from June 20 to 29, taking advantage of the fresh air and flower-studded hillsides of early summer—and avoiding the chance of the smoke and fire danger that have plagued the festival in recent years. Music lovers will still find the same impeccable musicianship and riveting programming they’ve come to expect. In 2019, there will be four Center Stage concerts in the Signal Hill barn, on Thursday and Saturday nights, plus many informal concerts around the valley over the course of the two weeks. Everyone will still be invited to listen in on free open rehearsals every concert day, and to mingle with friends and the musicians on the festival grounds after each concert. Artistic Director, Kevin Krentz, is programming a different group of musicians for each week, giving audiences a chance to experience a range of talents, and to benefit from individual artists’ special interests and activities in the world of music. 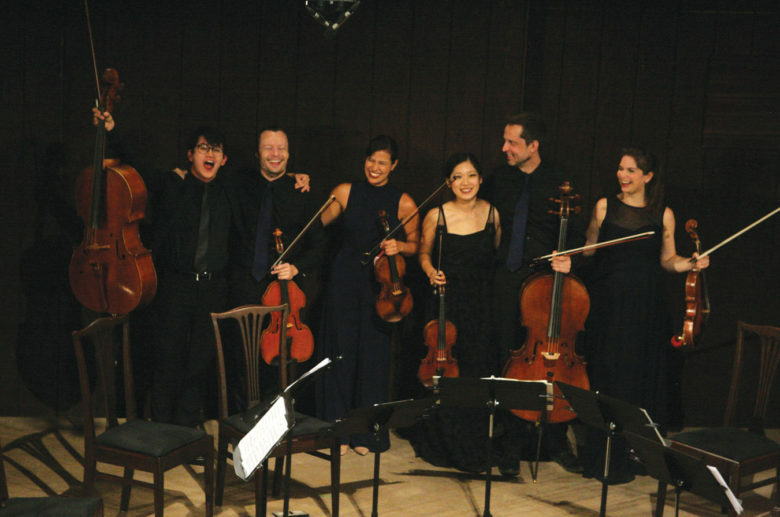 Some musicians, including Kevin and fellow cellist and composer Paul Wiancko, will be on hand for the entire festival. The festival has always counted on the generosity of community members to make it a success. Volunteers help with everything from setting up chairs and taking tickets, to housing musicians, to donating art for sale on the Art Wall during the concerts. Volunteers can also learn what goes on behind the scenes at a concert by helping out backstage. The festival will feel the loss of long-time and tireless volunteer John Ehrenberg, who passed away in August after a brief battle with pancreatic cancer. John contributed in many ways—by serving on the board and as treasurer, by fundraising, and by his enthusiasm for bringing the best chamber music to the Methow Valley. Tickets for the festival go on sale in April 2019. Visit methowmusicfestival.org for information on volunteering, to buy tickets and to see detailed program and artist information as it becomes available.